Potenzmittel cialis kaufen in der apotheke ohne rezept. Remember, a typed page averages approximately 500 words. This makes Soundcloud’s terms of service agreement almost 16 pages of legalese long! If I am reading this right, this means that even if I post something on my own webspace, but I link to it using Facebook, they own the intellectual property rights in a nonexclusive, transferable, sub-licensable sort of way. Need to know more about this topic? Read this blog for all of the scary stuff you are agreeing to. I picked up the title for this post while rummaging through a set of links and comments that took me from one post to the next. One of the first reasons that we brought kids online was to help them grow their own voice. We didn’t bring them online to develop a “presence” or an “audience.” We brought them online to help them see the world through globalized eyes, seeking out diverse opinion and experience as something to value. We gave them a space, helped them to plant and water it with writing and pictures and comments from around the world. We worried about helping them get their content out at the end of the school year or helping them to establish a space they could build on and maintain year after year. 2.) Help them to grow a space online that will be their homestead. Important pictures, ideas and content will go here. Teach them to look after it and maintain it. Help them to build a community of readers, writers and thinkers. 3.) Teach them about technology like RSS that will help them to find others and grow a reader and a community. For about $100 / student a school could help all of their students to establish an independent domain and space at some place like Reclaim for their entire middle and high school career. At the end, burn them a DVD of all of their work and give them the choice of continuing their space if they want to. Overall, help them to grow and build a space online that is their own. Give them the basic technical skills they need to maintain it. The great thing about the digital land rush is that there is room enough for everyone. From there I picked up enough knowledge to hack together a few different things. Jeff Utecht gave me enough WordPress knowledge to modify a theme and work in a database. Alan Levine’s stuff dropped me a little deeper into the web. People like Jim Groom have shown me what I can do if I manage to learn a little bit more. I’ve completed tutorials, watched videos and worked with a Raspberry Pi to pick up some Python, and a little bit of Linux, all the time being amazed at the amount of information that is out there for people who want to learn these skills. I’ve thought a lot about coding and kids and classrooms as I’ve worked my way through this experience. Coding is becoming more central in edtech curricula in schools. Using technology is becoming a bit more “computer science” in places ranging from China, Estonia, and the UK. As far as I know, this movement has not really moved into North America in an organized way yet except for in a few places like Chicago. Lately, I’ve started on a more linear approach. I’ve started taking a Programming for Everybody course through Coursera. This is the first MOOC I’ve signed up for and I’m enjoying it quite a bit. (I’m also enjoying seeing the net achieve some of its democratization of information potential, but that’s another story). Both of these simple scripts do the same thing. But, like telling any other story, they are organized in different ways and use words and the rules of grammar in different ways. My second attempt is a more effective, more efficient story. Learning to code in classrooms shouldn’t be about memorizing lists of commands and functions. Instead, it should be about creating interaction, about helping kids to tell stories in new and different ways. After all, they call them programming “languages” for a reason. Much, much more to learn. Edtech in schools seems to be going through a difficult phase right now. It’s kind of like an awkward, gangly teenager and no one is sure what it is going to look like in the end. On one hand, we’ve got the typing, presentation and spreadsheet skills curricula and people. We’ve got coders and programmers. We’ve got skype-in-the-classroom, work-with-others-and-collaborate people. But I’ve seen few classrooms, curricula or advocates for a balanced program that pulls these pieces together. 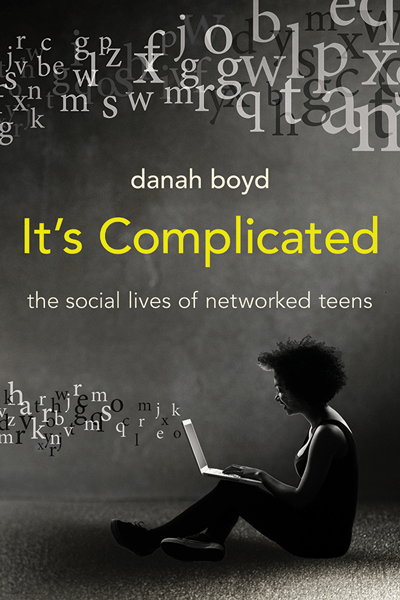 Like working with teenagers, “it’s complicated” might be the most realistic response. Interestingly, all of the examples that Papert outlined involved creating things. (If you’ve never taken a look at this article, you really need to). While I don’t know enough of the history of edtech, somewhere between the mid 1970s and the mid 1990s, we gained the mindset that technology in schools should be almost solely about documents and slideshows and lost the idea of a computer as a truly creative tool. 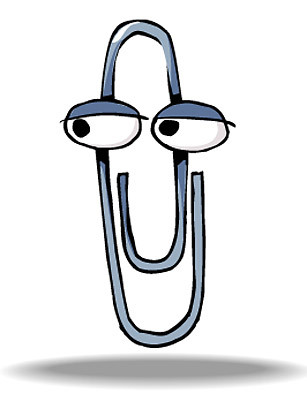 I think it’s Clippy’s fault. Well, only partly. I also think the wizard is to blame. Clippy and the wizard convinced us that technology is deep and mysterious and confusing to work with. Crashes and blue screens of death made us see computers as black boxes that we don’t understand. This made them something that we use and work with, but not comfortably enough to see as creative tools. A computer was not a pencil. I’m glad to say that I think this is changing, but we need to keep pushing. I still love paint brushes and clay and potato stamps and colouring. I insist that kids work offline and get their hands dirty. We carve things and make things and get outside when we can. But we also edit photos and write code and create robots. Makerspaces are popping up in schools and Invent to Learn (another must read) has given the maker movement in education a rallying point. I believe one of the cornerstones of the creative movement using technology is open source software and hardware. A kid who wants to try on being a podcaster can simply download audacity and give it a shot. A budding writer or photographer can work with WordPress to set up a space to highlight and share their work with the world. Low cost Raspberry Pi and Arduino boards let us become designers and programmers. Expensive software and tools close off the creative world to many people and make the price of entrance too high. Open source hardware and software erases the entrance barriers. There is no reason schools and classrooms do not have stables filled with tools for kids to work with. I have DVDs filled with open source software that I hand out to kids when they are looking for something. So that leaves us with our beliefs about education. If classrooms and learning spaces are centred around standardized tests and exams, there is no importance attached to student creativity. On the other hand, if classrooms are studios filled with burgeoning architects and engineers and programmers and artists, we see the effects of this reflected in curriculum and learning opportunities. Our globalized world and digital economy doesn’t need more button pushers. It needs people who can create, question and build. It needs problem solvers. This is why creativity deserves a place as an edtech basic.